Do you like watercolor illustrations and do you have a weak spot for llamas? Good! This free downloadable collection of watercolored llamas is just the thing for you! Coming with a personal and commercial licence, you just can’t let this free llama clipart collection pass. This fantastic bundle contains a total of 36 illustrations. There’s plenty of beautiful decorated llama’s, but also scarves, flowers, cactus and other plants are waiting for your creativity. The bundle comes with a Commercial Licence included. 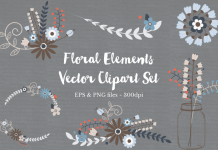 Download this beautiful free clipart bundle today at designbundles.com.